Do you ever struggle to make a big decision with confidence? When you have an important choice in front of you, are there places within you that resist that change, even when you really want it? I see so many people freeze up with fear that they never take those leaps. They put off decisions and stay right where they are. When we don’t allow ourselves to make big decisions and move forward on our desires and callings, the consequences are real. Not only do we feel frustrated and unhappy, but we also deny the world our light. We deny the world our great gifts and contributions. If you can relate to this, you will want the three-step method I share below! These three steps will help you trust the Universe and shift your energy when you’re faced with a big decision. 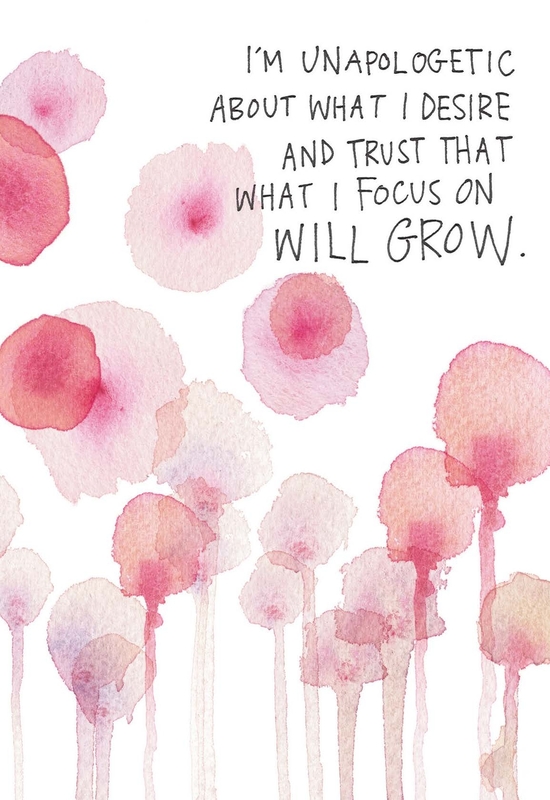 Keep reading to find out the steps you can take to make a big decision with confidence! In my life I’ve had many moments where I was disconnected from a decision, feeling resistance, fear, doubt, uncertainty. I let others tell me I couldn’t do it and I believed in the doubt of the world. For example, when I first started writing, I didn’t consider myself to be a writer. I had no background in writing and hadn’t taken an English class since high school. Even though I was comfortable speaking publicly, I could barely string a sentence together on the page and I thought I was a terrible speller. When it came time to sit down and write my first book, I almost didn’t do it. I had so much fear and uncertainty around my ability to write a book that I almost ran away from it. But as a result of practicing the steps I’m going to give you below, I released my resistance and fear. I made the decision to write that book and made it with confidence. If you’re at a crossroads in your life where you’re deciding whether to move forward with something, leave something that’s not working for you, or invest in something that’s going to take you to the next level, practice these steps so you can say YES. Don’t miss out on that big decision that could change your life! Make your next big decision with confidence! This step is simple. There is often fear within us that holds us back from making a big decision. Start to pay close attention to the way you feel when you think about this decision. Are you feeling terrified? Energized? Are you feeling good about it, but the voice of limitation keeps holding you down? As you become more conscious of your feelings, witness them without judgment so you can begin to understand them. When you honor your feelings, you can recognize that they are creating a story — one that you can choose to let go of. Your feelings become your energy, and they inform your own actions as well as other people’s actions toward you. Here’s an example. I had a great client many years ago who felt called to go to Africa to teach and be in service of others for six months before starting college. She went to her parents and told them she wanted to do this work. She came to me really upset after her conversation and I said to her: “Their resistance is a reflection of your fear and of your OWN resistance.” The Universe reflects back to you what you put out. So together we did spiritual work to heal her own resistance. She began allowing herself to accept that this was a great decision, and she got into the feeling of that great service work she wanted to do. As a result, she completely changed her energy. In the presence of feeling better she went back to her parents and brought up, again, her desire to go to Africa to do service work. And their walls fell down, too! They agreed that it was a good decision and they trusted her choice. I told her that healing her own resistance was what healed the reflection of her resistance that she found in them. When you witness and honor your own feelings of resistance and fear, you can see where they may be creating a story of lack and limitation within you — and informing how others feel about your decision, too. You can heal that resistance by getting into the feeling of what it is you truly want, and by doing spiritual work such as praying, meditating, reciting mantras or reading a book like The Universe Has Your Back. You can also use a card deck as a springboard to understanding and healing your fear and resistance when you’re not sure where or how to start. This is the final step in getting unstuck from that in-between place in the decision-making process, saying YES, and taking that action! When the voice of doubt and limitation is holding you back, I challenge you to just go. Take that first action. Make that decision. Make that commitment to move forward in your life. When you realize that it’s just the voice of fear holding you back, the act of moving gets you out of that space of fear. It creates more FUN energy that propels you forward! “Eff it, let’s go” diminishes that resistance. It allows you to take action and make a move with confidence. Just do something and the pressure will lift! Remember: When you don’t make a decision and don’t move forward, you are doing a disservice to the world. So I hope you take in these steps, honor them and follow them. Take the next right action in your life! Use these steps to make a big decision with confidence! Inspire others by doing what inspires YOU! 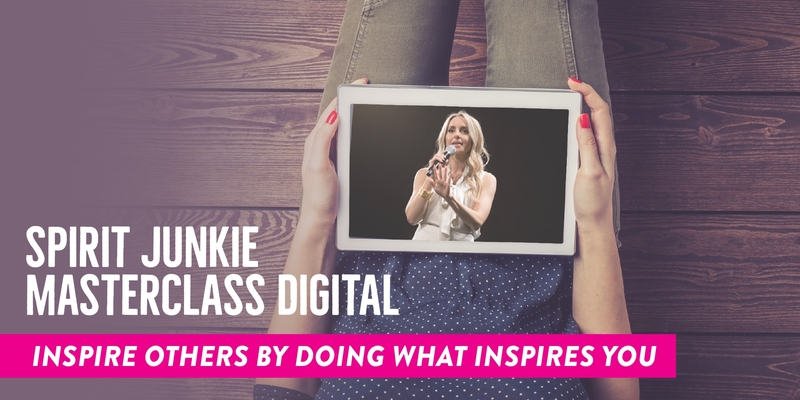 If you’re ready to take action and make an impact doing what you love, get on the waitlist for my Spirit Junkie Masterclass Digital Course! You’ll be the first to know when enrollment opens in June 2019. I have your book but I haven’t read it all yet. I will get back to it right now. You look so beautiful and relaxed. Is that your new home? yes 🙂 let me know what you think of the book! Gabby, This blog today was a miracle for me. 10 minutes ago I was praying asking to the universe guidance in the doubt I WAS feeling. And when I looked my mailbox —> your email ❤️ I am reading your book “the universe has your back” I it is like medicine for me ✨ I read it every day and I started I spiritual journey wich is helping me so much. I would like to ask you a question that it is related to this topic. ¿It is bad to feel doubt in the spiritual process? Doubt is totally natural. Be honest with the Universe about your thoughts and feelings and be open to guidance. Thank you so much Gabby! The video trainings are awesome. I just did the second one and I take lots of notes. I like this video too. I have a lot of naysayers in my family and yesterday I said something about my future, and my mom said you say that but….. mind you I’m 49! I responded with I make things happen in my life, and I’m going to make this happen. It reinforced what you said about being non resistant about my decision and showing my confidence when I speak and act toward a decision. My mom said nothing. I love my mom but she can be very negative, so I learned to not share as much. I do want to share with you that I called my local library and I’m going to be teaching a meditation class in the fall!! They said if they like it, I may do a series! Thanks for your help. All your nuggets and free advice helped me send the email. I felt fear when they said yes and we’d like to meet you. I was so nervous buy I just took some notes and owned my years of practice and knowledge and they were pleased with the meeting. One girl said I want to take the class. So it was approved and now I’m nervous and it’s not until October. I was a school teacher for 20 years so I have a lot of skills. I’m also looking for places to tell my story. Thanks and I wish you lots of love and good wishes! I’m 46 and I feel ya girl. We must keep creating our lives. I’ve been trying to work this entrepreneur thing for two years and frankly I miss the interaction among actual people. The behind the laptop is hard for me. I too was in Education for 20 years as a High School administrator. I miss the interaction, the energy, the big huge swings of everything in high school and teens! So with this blog post I am taking action and have scheduled a meeting with a former colleague to discuss some options. And the big reveal is to tell my partner honestly, I miss working with young adults and I want to create more of that again in my life. I may even reach out to the school where I once worked for 11 years and see what might be available, but that’s for another day because I first need to sit with my man and talk it through. We are in business together, so my leaving may make for some big changes for him. And so much needs to be considered. Gabby- I’m scared. But I’m gonna’ be brave and walk through this with my head held high. The worst thing is I’ll be told no by the school. But that will be information, right? Thanks for posting your story. I am a teacher as well and am in the process of finding other ways to contribute to others. Best wishes! This message is exactly what I needed to her today. As I am willing to go into the places that scare me and examine what the lesson is, opportunities keep popping up. Now I have a way to move forward and celebrate what’s on the other side. Namaste. I have been holding myself back in writing courses to better my new business. I think due to not having belief in myself or feeling overwhelm. Thank you for this video Gabby, after a few days away and letting go of my doubts I do feel ready now to start moving forward. Thank you Gabby! This was right on time and resonated so deeply with me today. I cringe every time you remind me to ask to be guided towards the greatest good… Why am I so afraid to be guided towards the greatest good? Where does that distrust stem from? Thank you very much Gabby! I’m just about to start reading The Universe Has Your Back for the second time and this video came right on time. I have so many decisions to make about career and my relationship. I feel anxious, afraid, uncertain and not good enough. Thank you for always reminding me about the good energy of the Universe and for making me trust and choose again! Oops….meant “can’t” get a clear answer. Oh I love making big decisions, however the uncertainty that comes afterwards, I feel like it misaligns my initial decision. Like an “oh crap, was that a…” Do you have technique to stand in power and not go into uncertainty? Like an “eff it, forget it, move it” mindset? 😉 I’ll go back to the surrender chapter too. I love this video. I have been putting off asking for a raise . The fear and the decision about whether I think I am worthy . Asking for a raise can be scary! Many of us put off that kind of conversation. But there are many, many tools out there you can use, including scripts you can follow. I recommend checking Lean In’s advice for negotiation and reading this article on asking for a raise. I wish I had seen this 6 months ago. I had an awesome opportunity set in front of me but I didn’t take it and now I am having a hard time getting past passing it up. After seeing this I feel better equipped should another opportunity come my way. But it is hard to get past the hopeless feeling that nothing else will come my way. Thank you for your inspiration. Let yourself grieve the lost opportunity and find the lesson. You are exactly where you are supposed to be. You were not ready for that opportunity. You were not ready to surrender to guidance. Now you are and your path will unfold as it should. Expect miracles. Inspired by Simone & Dolly i started to read your work. The judgment detox book: Listened to a preview from the book. Although i did deep transformational spiritual work on the fears and thinking patterns. There’s still a dark cloud over me that keeps me away from living my full potential. At the moment i am very aware of my capability to serve this world. Now on a crossroad where i am in the space of not knowing i feel a little stuck sometimes. I want to take a different road and start all over with the knowledge i have now. I recognize the fear you are talking about. Especially business wise. When ideas for my business are coming in i get so excited and the moment i need to take action, there’s fear, doubt blocking my way. It’s like a rise and fall. And for once i would like to break this cycle. What does it takes Gabby to think bigger? And what book would you recommend to support my process? I recommend checking out my Spirit Junkie Masterclass. You can get on the waitlist for the digital course now. 🙂 This is particularly helpful for all things business + spirituality. This came right on time for me! I just quit my job/career (lawyer) that I’ve been in since graduating college and law school. I was absolutely miserable (suicidal thoughts, tears every day, sniping at others) and living in fear. 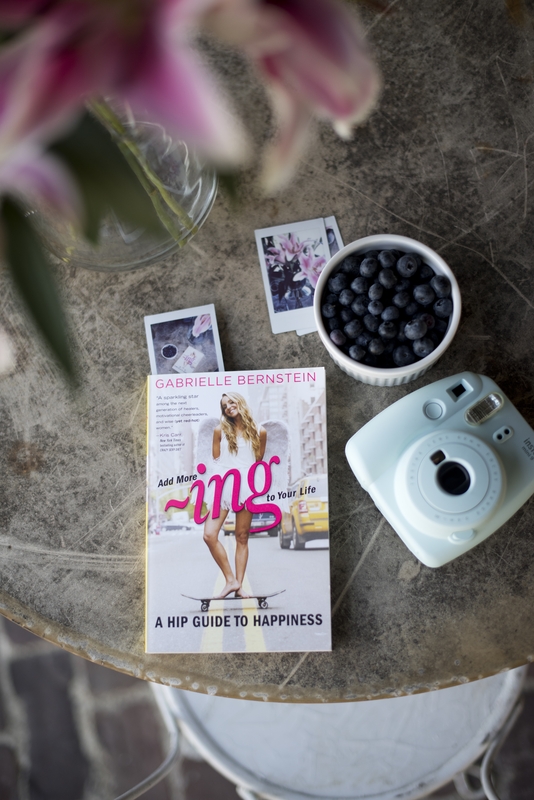 I read Spirit Junkies and hoped that if I changed my perspective, things would change. And they did but…turns out that even when my mindset is right, my skills don’t line up with this work! I even moved across the country to yet another firm but, no dice! So, last week, I took a HUGE leap of faith and told my bosses that I’m leaving at the end of second quarter (June 30). I put it out there. And the universe showed up by giving me a major financial gift (phew). At times, I am confident an amazing opportunity is headed my way. I’ve updated my resumé and sent it out. BUT…….I am also so confused about what to do next. Do I stay in Seattle?Move back to Chicago (hometown)? I support my boyfriend as well since his bar business closed. It could be better to stay here and open something together (the dream) but, I look at the numbers and are lack of savings and can’t see how that will work. Or maybe it’s better to open something back home where we have more connections? Sheesh- guess I needed to vent about that. What to do when the dream is hazy/unsure? Yup, I’m taking one step at a time. I’m going at my pace and not rushing things to a point where I feel pressure. I’m setting things up financially so I can step away from my corporate job and move fully into my coaching business with a sense of financial stability that will allow my creativity to flow freely. Wonderful blog, Gabby! Thank you! I have literally been asking my HP to help me make a job related decision because fear has been clouding my ability to make a decision. About an hour ago, I wrote down the job and crumpled it up and put it into my prayer box. Then I see this blog post! Wild. I know I need to leave one of my jobs and just effin do it! My own fear of disappointing others is the only thing that’s getting in the way. Thank you for this blog.